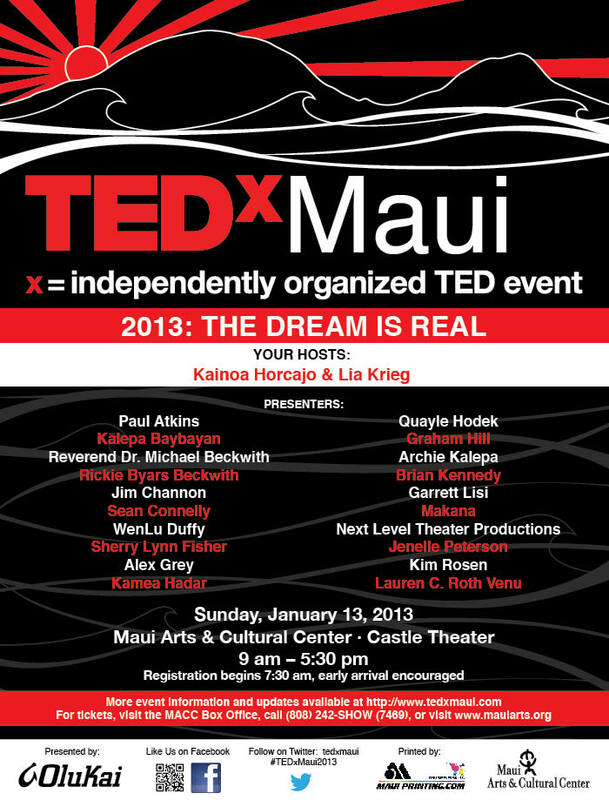 TEDxMaui 2013 takes place on Sunday, January 13th, 2013 at the Maui Arts & Cultural Center. Have questions? Check out our Frequently Asked Questions page or contact us.